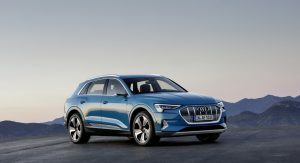 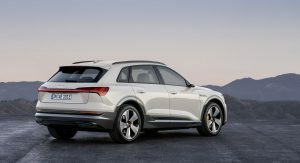 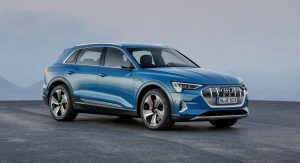 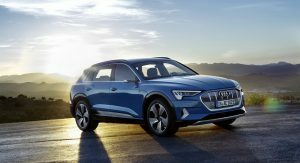 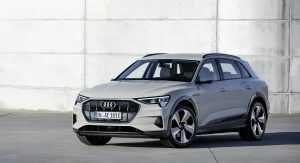 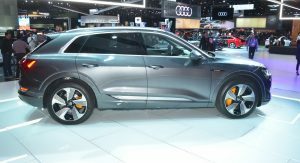 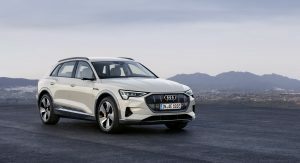 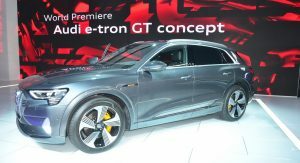 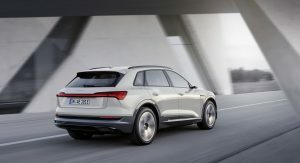 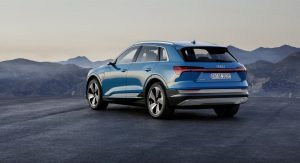 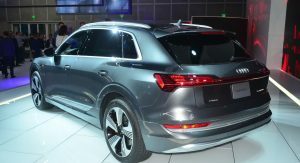 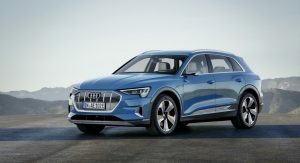 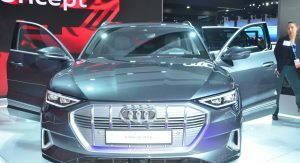 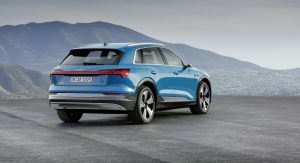 While the e-tron GT Concept was without a doubt Audi‘s biggest star at this year’s LA Auto Show, there’s no way we can ignore the presence of the e-tron SUV, which U.S. customers can purchase from $74,800. 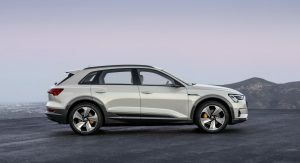 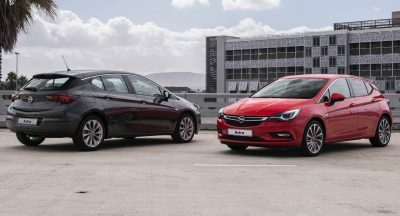 This is a car that you can buy as an alternative to either a Tesla Model X or even the Mercedes-Benz EQC. 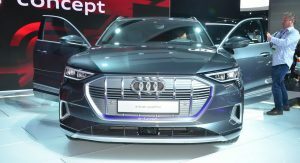 It’s fully-electric, and powered by two asynchronous motors, working alongside a 95 kWh battery pack. 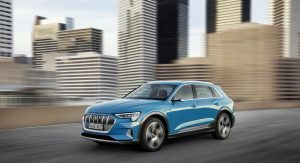 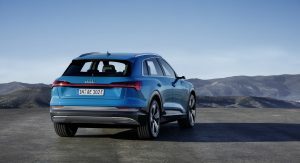 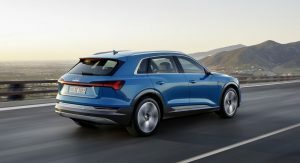 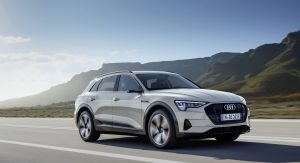 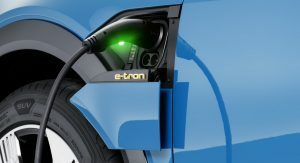 Exact EV range figures have yet to be released, but according to reports, you should be able to drive the e-tron SUV roughly 250 miles (402 km) on a single charge. 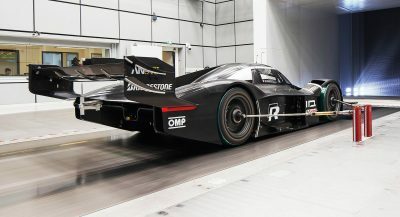 You will also be able to accelerate from zero to 60 mph (96 km/h) in 5.5 seconds, before maxing out at 124 mph (200 km/h). 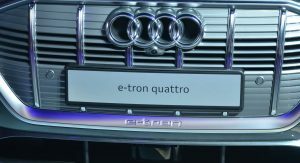 As you can see, the LA show car (a 55 quattro model) doesn’t feature those fancy Virtual Mirrors, a system that utilizes small cameras instead of traditional mirrors, sending live images to a pair of displays located within the e-tron’s door panel. 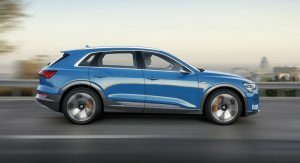 Yet, we’d argue that regular mirrors will do too – besides it’s not like there’s a shortage of tech onboard this crossover. 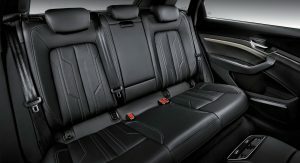 Its cabin is about as modern as they get in the industry nowadays. 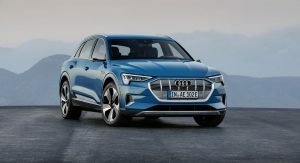 In the end, if you want an environmentally-friendly crossover from Audi, then the e-tron is going to have to do. 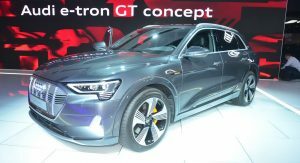 However, if you don’t mind waiting, you could hold on and get the production version of the e-tron GT Concept, coming to a dealership near you by the end of 2020. 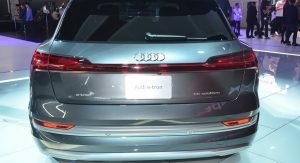 Nope, it’s another boring looking Audi. 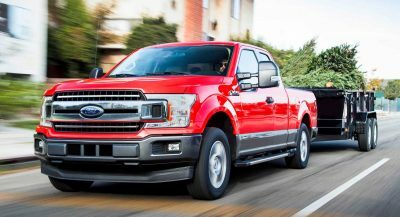 What a big over complicated useless grille.